Finishing in 1st place and winner of the Rod Bender Bait award, Bear and Mike brought 11.49 lb. to the scales with their largest being a 3.43 lb. Big Bass earning $680 in cash and pulling further ahead on top of the East Point Standings. ​Finishing 2nd place is the teams of Frank and Doyle Randol. Frank and Doyle brought in 11.37 lb. to the scale anchored by a 3.27 Largemouth earning them $416 in cash their second place finish may not be enough to catch the point leaders but they are certainly keeping them within reach. ​Jerrold and Chip brought 11.08 lb. with the second largest bass of they day at 3.77 to the scales earning them $265 in cash for third and a little spiff on top for the bass. Check back later in the week for complete details. ​Mike and Dwayne brought 10.21 lb. with the largest bass of the tournament which was a 3.78 Largemouth Bass to the scales earning them $189 in cash plus a little extra for the bass. Don and Brian brought 9.81lb. to the scales earning them $113 in cash for the 6th place finish. 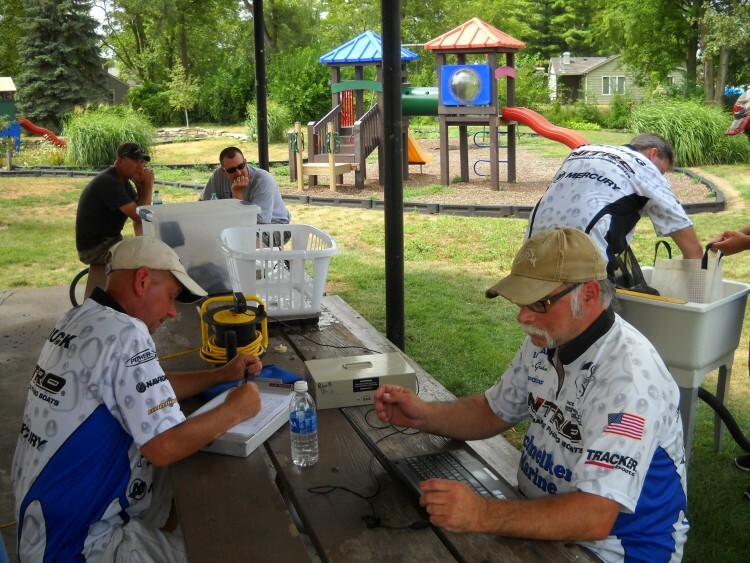 ​​Rick and Denny Also finished 1st out of the money placing 8th with 9.33 lb. Out of "the money" but in addition to the Rocky Brook award the two earned a little take home swag. ​​The team weighed in with 5 fish weighing 8.1lb. The R & B Bass Circuit Eastern Division launched at Syracuse DNR Ramp on August 13th, 2016. We launched 36 boats with 32 teams bringing fish to the scale. ​1st place took 11.49 Lb. to win, and participants weighed in 142 bass and 245.32 pounds of fish. 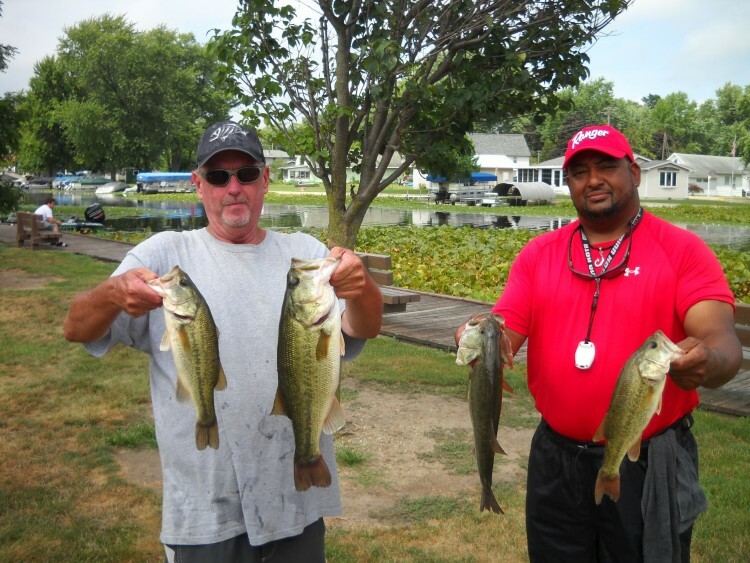 Frank and Doyle had a plan, they were going to Wawasee and fish a break line that Doyle had found prefishing. Confident in the quality of bass he found there the two spent there first 4 hours without a keeper in the box to show for their efforts. Knowing it was time for something ​​different they tried a few docks and boats that regularly produce but no joy. With only a couple hours left they motored back to Syracuse. Again heading to Docks and Boats, Frank commented that the lure had to be dead sticked. If it dropped to fast the fish would not eat it. 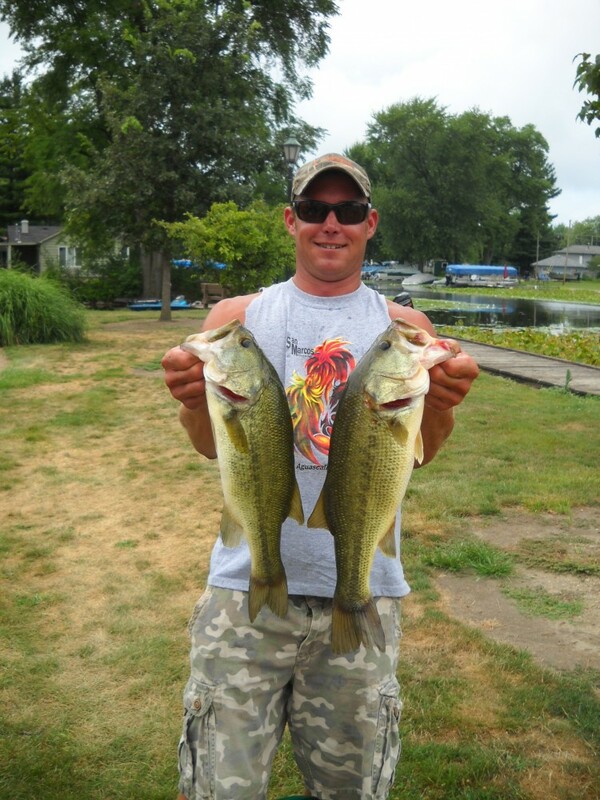 They found a weightless Zoom Double Ringer to have the action the fish wanted and preceded to put 5 keepers in the boat. Bear and Mike started their day on top of a shallow flat on Wawasee. They boated 4 keepers ans early on top water and weightless worms. They figured with four in the tank they would stay and get their fifth before moving on. Having spent another hour they decided to make a move. Click here for the complete Lake Wawasee East Results. ​Rob and Jim brought 9.84 lb. 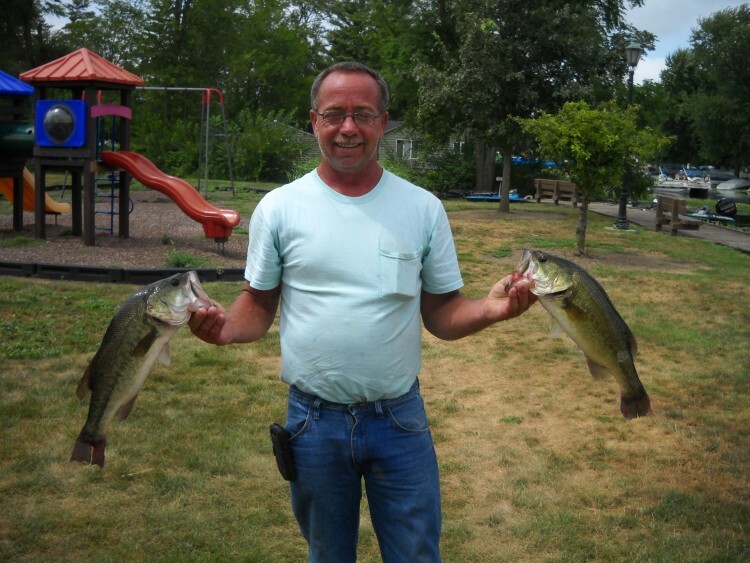 with a 3.23 Largemouth Bass to the scales earning them $132 in cash. Greg and Kevin brought 9.48lb. to the scales earning them $95 in cash for the 7th place finish. Their second spot had a boat on it so they motored on past. They pulled up on a break that they like to fish in the spring. Bear said that Mike caught a 2+ pounder fairly quick. The two proceeded to catch their largest bass of the day at 3.43 lb. and another that was well over 3. This spot had lots of Blue Gills and bear believed they were on beds. They put a total of 15 keepers in the boat that day and managed to cull out of couple of the mornings fish using a drop shot. 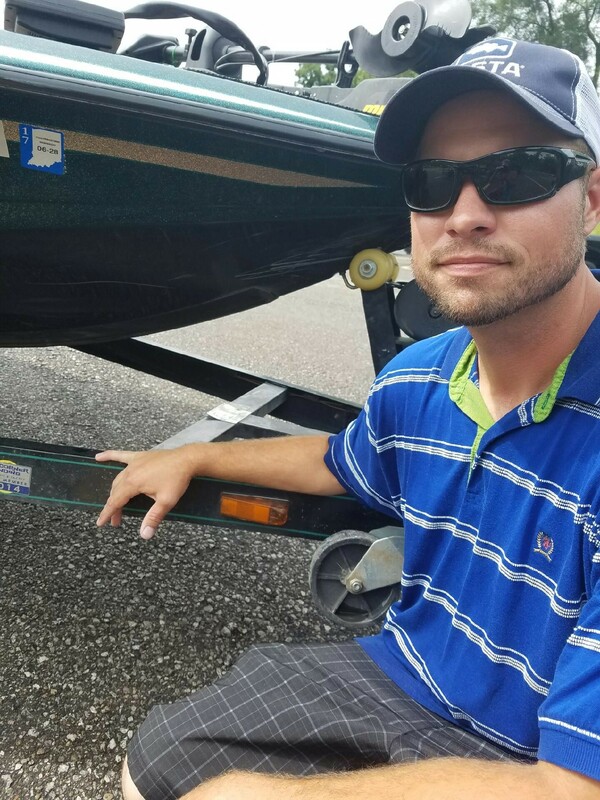 The winners also have a KeelGuard attached to their boat, thus making them eligible for another $150! Be sure you are eligible for all Incentives.